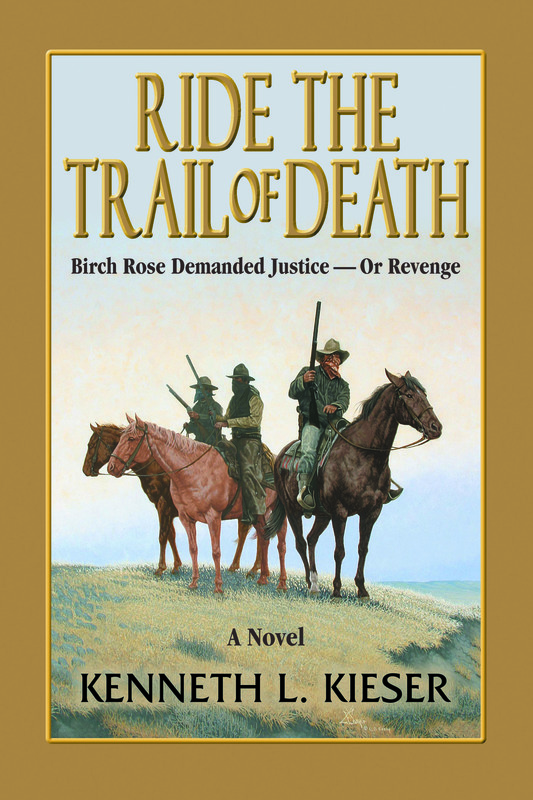 "Ride the Trail of Death," Kenneth L. Kieser's novel of lawlessness, revenge, and family courage set in late 1870s Deadwood, is now available in bookstores or through the University of New Mexico Press, announced Mike Harris, publisher for La Frontera Publishing. "Ride the Trail of Death," Kenneth L. Kieser's novel of lawlessness, revenge, and family courage set in late 1870s Deadwood, is now available in bookstores or through the University of New Mexico Press' Web site at http://www.unmpress.com, announced Mike Harris, publisher for La Frontera Publishing (http://www.lafronterapublishing.com). Taking place during the Black Hills Gold Rush period, Ride the Trail of Death is an historically-accurate tale about a family torn apart by the brutality of the West as it tries to relocate between Custer and Deadwood. The main character is Birch Rose, an 18-year-old boy who seeks revenge for his murdered parents and two younger brothers lost in the woods, presumably killed by Indians or animals. Faced with being alone, Rose deals with sorrow, despair, anger, and a consuming desire for vengeance. Befriended by Deadwood's legendary sheriff, Seth Bullock, Rose becomes a deputy and one of the fastest gunmen in the Dakota Territory--and a hunter of men. In the end, Rose confronts his family's killers, but finds his lust for vengeance is hollow. Reunited with his younger brothers, Rose comes to terms with life and reaches his own personal redemption. "Kenneth L. Kieser weaves fiction and history into a spirited tale of Lakota Sioux and Black Hills gold hunters, of murder, vengeance, and redemption," said Elmer Kelton, author of over 40 books including Texas Showdown. "A veteran journalist and writer, Kenneth L. Kieser's name is known to many readers of outdoors publications, and his outdoors column appears in several newspapers and magazines. We are pleased to help him bring out his first historical fiction novel," said Mike Harris, publisher of La Frontera Publishing. The book, ISBN 978-0-9785634-1-7 ($19.95, paperback 6 x 9, 256 pages, 4 halftones, 1 map, release date Oct. 3, 2007), is available through the University of New Mexico Press http://www.unmpress.com Web site or by calling (800) 249-7737. Cheyenne, Wyoming-based La Frontera Publishing publishes historic fiction and non-fiction books about the American West. Its Web site can be found at http://www.lafronterapublishing.com and reached at (307) 778-4752.